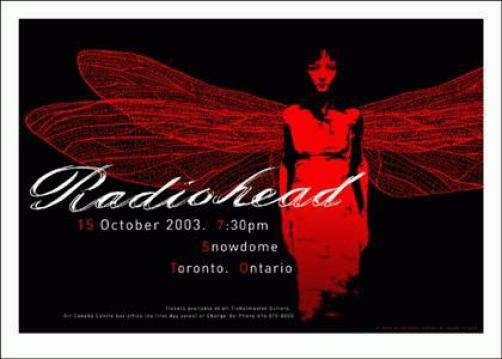 Original concert poster for Radiohead in Toronto. 28 x 20 card stock. Art by Joe Whyte.